Your doctor writes you a prescription. Your pharmacist fills it. You trust these people with your life, without a second thought. What if you found out the person who filled your prescription wasn’t a licensed pharmacist at all? In the California Bay Area, Kim Le signed off on or dispensed 745,355 prescriptions over more than a decade. so no one knew that she wasn’t a licensed pharmacist or that she was committing medical malpractice. Le worked at three Walgreens stores in the Bay Area from November 2006 to September 2017, administering vaccinations, ordering medications, counseling patients on their prescriptions, and supervising pharmacy technicians. Her credentials were never questioned. Why would they be? She had a pharmacist number. Turns out, the number belonged to a difference pharmacist with the same name. A routine visit by a state pharmacy inspector uncovered Le’s deception. 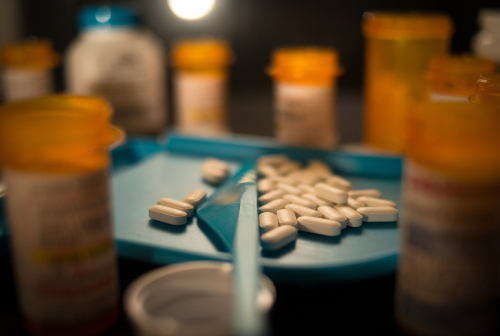 The investigation began at a Fremont Walgreens when it was discovered the pharmacy dispensed alprazolam prescriptions – a controlled substance more commonly known as Xanax – but did not fully meet state requirements in dispensing these prescriptions. The pharmacist who erred in the review and dispensing of the meds was Le. Le was also identified as the pharmacist-in-charge at a San Jose Walgreens, where she approved prescriptions with remote electronic verification. The investigators looked at her credentials, discovering that her pharmacist number matched another pharmacist with the same name, but who was not employed by Walgreens. Le was confronted with this licensing information, then she claimed to hold another pharmacist license number which, incredibly, belonged to another person with the same name who was also not employed by Walgreens. Le’s relationship with Walgreens began in 1999, when she worked as a cashier. Two years later she began working as a pharmacy technician and then an intern pharmacist. Her career as a fraudulent pharmacist began in 2006. Le did have a pharmacist technician license, but it expired in 2008. She had never been a licensed pharmacist. This incredible case of medical malpractice takes on-the-job training to a new level, a terrifying and potentially life-altering level. Administering the wrong dose of medication. Filling a prescription that negatively interacts with another medicine the patient is taking. Failing to point out possible side effects of a medication. Pharmacists who commit such egregious mistakes put peoples’ lives in danger. State officials reported that it was unclear if Walgreens had ever attempted to review Le’s accreditation, though the store said they initiated a reverification of pharmacist licenses nationwide to ensure that this incident was isolated. The state Board of Pharmacy is still deciding whether the three stores where Le was employed will have their pharmacy licenses suspended or revoked, a situation that would negatively affect the many patients who rely on the pharmacies for their medications. Medical malpractice can take many forms, and pharmacy errors are included. There is a standard of care that pharmacists are trained and licensed to uphold. If you have been a victim of medical malpractice, contact the lawyers at Thurswell Law for your free consultation to discuss your circumstances. We do not charge any fees unless you collect. Call (248) 354-2222 today.